When you think of your winter mountain getaway, do you want myriad options for snowy outdoor adventure like snowshoeing, cross-country, backcountry skiing, ice climbing, tubing, and sledding? Are you looking for a historic, picturesque main street with dozens of boutique shops, restaurants, and breweries? Crisp fresh air infused with the smell of pines and the sight of wildlife wandering through pristine white landscapes and the heart of town? 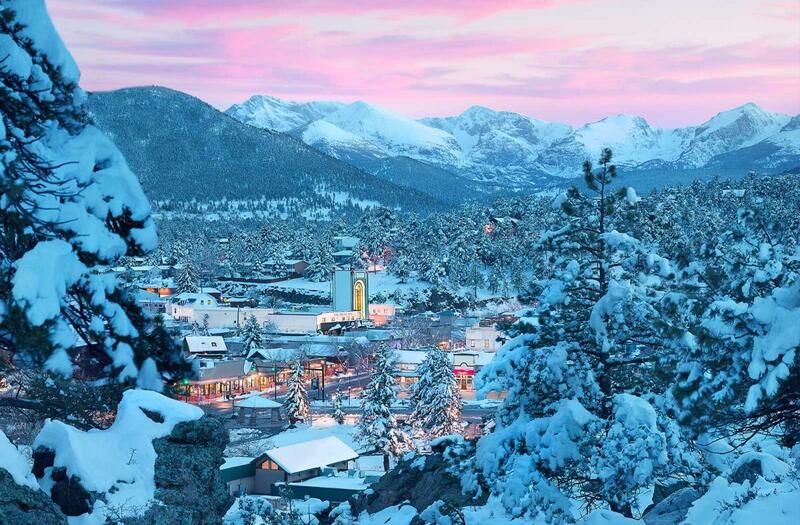 You will find all of that and more on a winter trip to Estes Park, Colorado. Here are nine reasons why this snowy wonderland makes for the perfect getaway. The opportunities are endless for skiers and snowboarders who are willing to work for their turns. 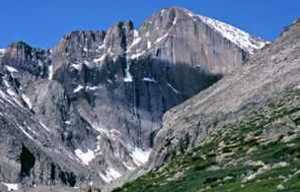 Estes Park is surrounded by backcountry, including Rocky Mountain National Park, where you’ll find everything from day-long treks up and down varied terrain offering options for experts and novices alike. Also located in the park are the old ski runs at Hidden Valley. After nearly 60 years of operation, Hidden Valley Ski Area removed its lifts and closed in 1991, but its trails are still accessible by skinning uphill (AKA "earning your turns"). In the surrounding national forest, you’ll find even fewer snow enthusiasts, which means less crowded trails and you can bring your pet along. Backcountry terrain is inherently dangerous--you&apos;ll need to travel in a group and have an avalanche beacon, shovel and probe--and know how to use them. 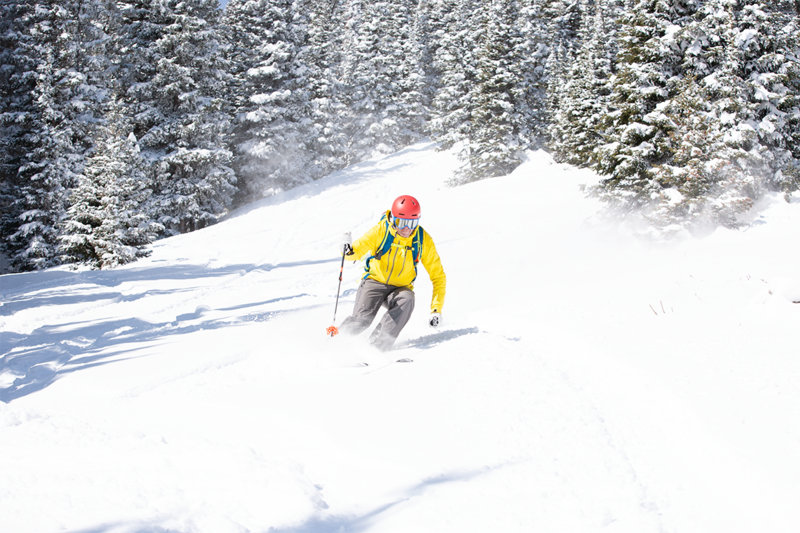 Some of the guide services and outfitters in Estes Park offer avalanche courses. While Hidden Valley is no more, the former ski area has become one of America’s greatest sledding spots. The wide-open former bunny hill serves as a natural, gravity-powered runway for plastic vessels, and it’s an easy hike to the top for sliders of all ages. Sledding and tubing are unsupervised, but the base area is equipped with bathrooms and a warming hut open on holidays and weekends. 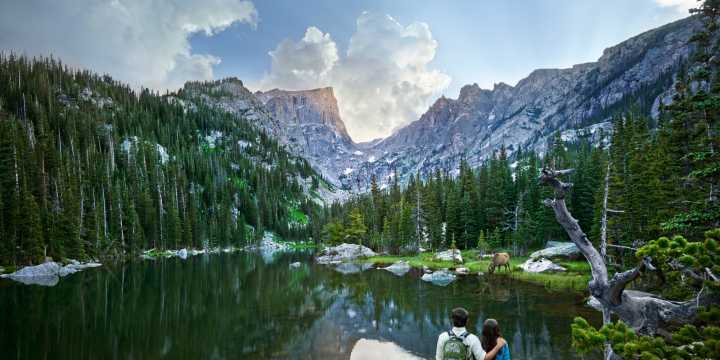 If you’ve visited Colorado’s most renowned national park in the spring, summer or fall, you’re familiar with its majesty, but also its popularity. How’d you like to have a quiet slice of it all to yourself? In the winter, the park is transformed into a glistening white wonderland, and the hiking trails take on a fresh allure when explored on cross-country skis and snowshoes. Estes Park Mountain Shop has rentals and everything else you need to get outfitted, and it can point you in the right direction when it comes to trails as well. The shores of Bear Lake and Sprague Lake, both accessible via the Beaver Meadows Entrance, feature flatter terrain that’s ideal for cross-country skiing. It’s no secret that the majority of Colorado’s ski resorts are reached by traveling along Interstate 70. What many people don’t know is that this thoroughfare can turn into a parking lot of bumper-to-bumper traffic, particularly on winter weekends. Lying less than an hour and a half from Denver, Estes Park occupies its own peaceful corner of Colorado, easily reached on well-maintained roads that have much less traffic in the winter. You’re more likely to be slowed down by an elk jam than a traffic jam on a trip to Estes Park. You have more than 150 choices when it comes to overnight accommodations in the Estes Valley, and many offer a truly unique experience. Whether you want a cozy cabin, a historic inn, or a luxury home, you can find it here. The Estes Park Resort is located on Lake Estes, and is a great option for those who want a relaxing retreat with incredible views of nature. The elegant getaway features an indoor swimming pool and hot tub, plus in-room spa service. Opened in 1909 and listed among the National Register of Historic Places, the Stanley Hotel inspired Stephen King’s The Shining. It’s unquestionably one of the most classic lodgings in the state, and you can take a historic tour (whether you stay there or not) to learn fascinating insights into the building and its founder’s own past. 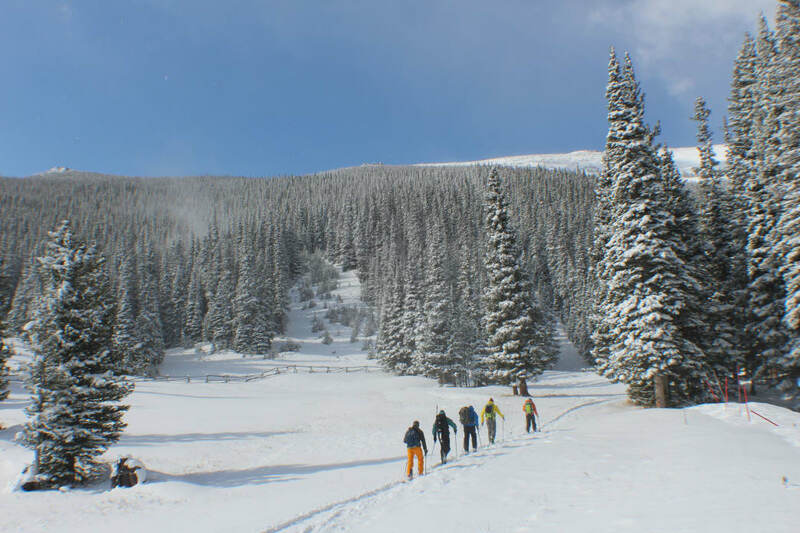 The hotel also partners with Kent Mountain Adventure Center for customized winter adventure packages that include lodging discounts and your choice of snowshoeing, backcountry skiing, or ice climbing in Rocky Mountain National Park. The Della Terra Mountain Chateau is a luxury boutique inn and wedding venue that sits on 14 pristine acres just outside the national park. You’ll enjoy the natural surroundings as well as the architecture of the impressive building, with each guest room features a unique theme. You can choose from several bed & breakfasts as well, including the Taharaa Mountain Lodge, with an incredible great room boasting 30-foot floor to ceiling windows, and the Estes Park Bed & Breakfast, located right in town and walkable to shopping and dining. 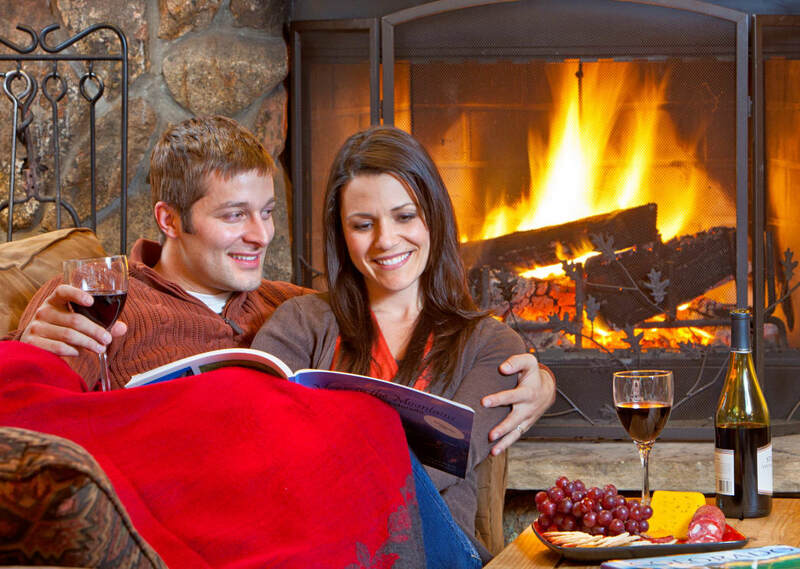 Find all lodging options in Estes Park here. Can we all agree that whiskey tastes best in the winter? Estes Park is home to its own distillery as well as a whiskey bar to help you find just the right post-adventure drink. The Stanley’s Cascades Restaurant ranks among one of the best-stocked whiskey bars in Colorado, with around 1,200 varieties of rich brown liquor hailing from the Rockies to Scotland and Japan. Situated across the street from Lake Estes, Elkins Distilling crafts its own locally sourced whiskeys as well as a delightful spiced apple liqueur. No winter mountain getaway would be complete without a sumptuous, candle-lit dining experience. For nearly 50 years, The Dunraven Inn has been the go-to venue for comfort fare, and it boasts one of the most impressive wine lists in the area. Housed in a cozy cabin about three miles from downtown at the mouth of Rocky Mountain National Park, The Dunraven is worth a winter visit just for dinner. The Twin Owls Steakhouse combines the charm of a 90-year-old cabin (with rough-hewn logs and broad-plank hardwood floors) with a modern dining experience. 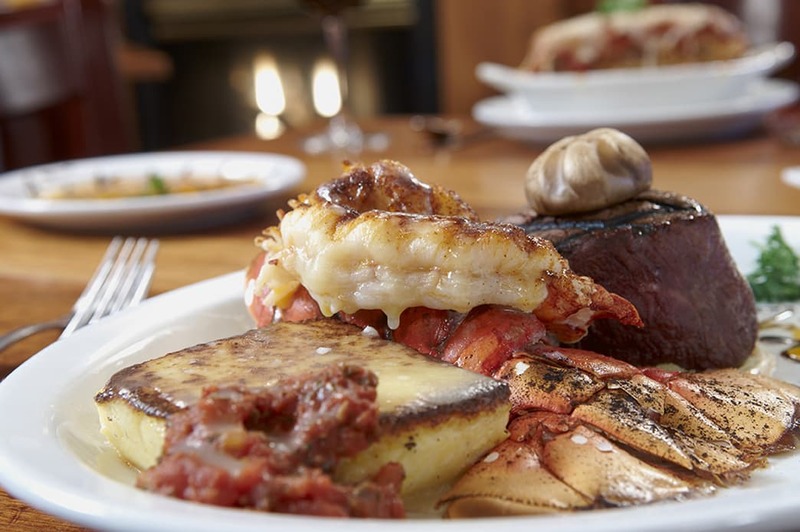 It’s a cozy retreat that features a menu filled with a wide variety of steaks, wild game, and seafood. The Rocky Mountain landscapes look spectacular covered in white, but the sight of elk meandering through the powdery meadows or moose strolling the banks of the Colorado River is a real treat. Staying in Estes Park, there’s a good chance you’ll see them strolling around town as well. Thousands of visitors flock to here in the fall in hopes of hearing and witnessing the seasonal elk bugling, but those animals, along with bighorn sheep and coyotes donning their winter coats, are commonly spotted from November through April. There&apos;s never a bad time for wildlife watching in Estes Park. It’s easy to lose sight of a place’s color and character when you’re surrounded by the constant whir of chairlifts and snowmaking equipment, as can be the case at a large ski resort. 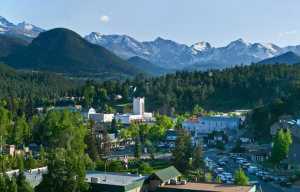 Estes Park, the most picturesque of mountain towns, is, in fact, the genuine experience both inside and out. For more than 100 years, people have come to this part of Colorado for the crisp mountain air and access to incredible outdoor activities. None of that has changed. You’ll also find shops and galleries that celebrate this natural gem—no chain stories here. These are independently owned businesses, many of them located in buildings with rustic timber framing that dates back to Estes Park’s homesteading era. Winter is the time to experience this mountain hamlet at its most authentic when the lights of Elkhorn Avenue twinkle among falling snowflakes and every day calls for the simple delights of mittens and hot cocoa. Don’t miss it. Written by RootsRated Media for Visit Estes Park.